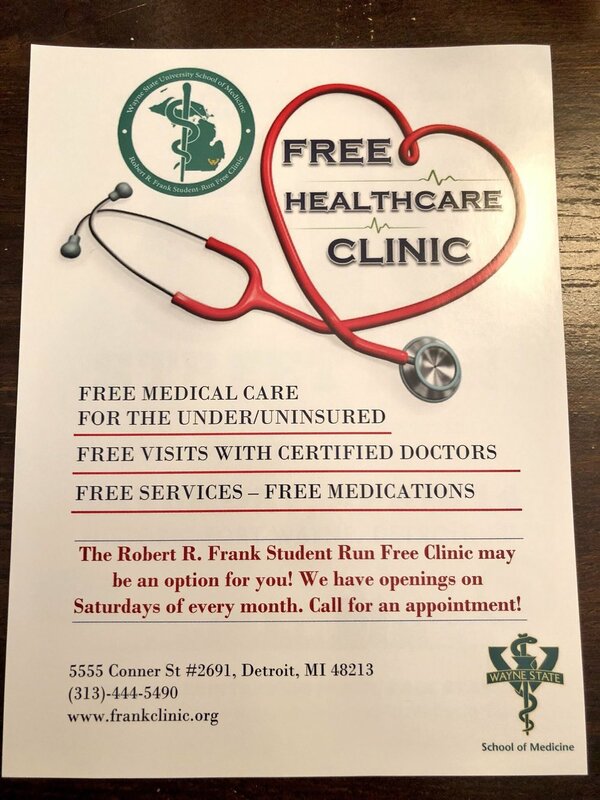 For the last 6 years I've been volunteering at a free medical clinic on Detroit's East Side called the Robert R. Frank Student Run Free Clinic or the SRFC. The SRFC services Detroit residents who are uninsured, and as their name implies, it is run by medical students. Last night we had a stakeholders meeting and I am continually impressed by these medical students and their diligence, commitment, and compassion. If you'd like to help these students serve more uninsured Detroit citizens, you can donate here, participate in their upcoming 5K, or participate in their upcoming Golf Outing (date TBD). This month I had the opportunity to volunteer with Street Medicine Detroit, an organization dedicated to helping homeless people in Detroit with their medical care. This was an organization that I volunteered with and supported during its early days at Wayne State University School of Medicine. The service is run by WSU medical student volunteers and they go out to different locations across Detroit and assist those who need medical care. This can be done on street corners, in soup kitchens, homeless shelters, and churches across the city. This month, I met up with the volunteering students at Manna Community Meal to deliver health care services. This is in the basement of St. Peter's Episcopal Church in Detroit's Corktown neighborhood. It was a great way to give back, and if you want to support Street Medicine, they take donations at their website, here. Talking with a group of medical students while volunteering with Street Medicine Detroit at St. Peter's Episcopal Church in the Corktown Neighborhood of Detroit, Michigan.